There are a lot of little gems located throughout Inland So Cal, great places to spend a few hours enjoying yourself. I am doing my best to ferret them out, visit them, and then share them with you. On a recent Saturday Hubby and I visited the Motte Historical Museum. It is located at 28380 Highway 74 in the Romoland area, now part of the city of Menifee. The Mottes are a long time farming family in the Perris/Menifee area. 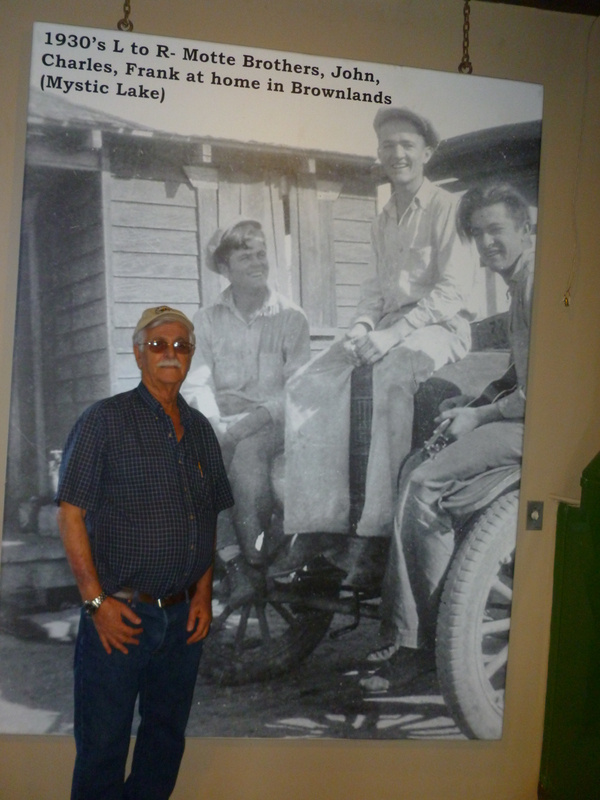 Husband and wife, Leon and Darlene Motte, gave Hubby and I a tour of the museum. Before you get jealous, I just want you to know I have known Darlene and Leon since I was a kid. That got me special privileges! The barn in which the museum is located was designed by architect Robert Morris. He is obviously a master of old western design. The barn looks like something out of a movie, what every old barn should look like if only it was designed by an architect like Mr. Morris! Much of the material used to build the barn was salvaged from other old buildings, from a nearby turkey ranch to warehouses in Los Angeles. It really adds something to the place to have the old fixtures, wall coverings, etc throughout the space. Inside the museum old photos of the Motte family have been enlarged to adorn the walls, with captions telling visitors who is in the photos. Some show them with the cars that are now restored and on display. But the stars of the collection are the cars. Even if cars are not a big thing with you, I think you will appreciate these cars. They have all been expertly restored. My Hubby, who does love cars, said they were museum quality restorations. That makes every single car is a true beauty. Leon Motte with one of the old family photos in the Motte Historical Museum. One of my favorites on display was the first Perris School bus. It was really a truck with two benches put in the bed for students. The sides were open with roll down shades for rainy days. Leon Motte said an older student would be selected by the school to be the driver. People really liked to live life on the edge in the good old days! For some strange reason I didn’t get a photo of the bus so you will have to visit to the museum to check it out. Isn’t this car a beauty? Upstairs in the loft area are display boards which have information on the history of the Perris Valley area. They are will done, full of photos, and really interesting. The best part is that Motte Historical Museum is free! They do have a donation jar and would really appreciate it if you would drop something in, but that is up to you. It is a great place to visit on a day you feel like going on a drive, but don’t want to spend all day at your destination. I hope you enjoy the Motte Historical Museum! What an interesting day; I love experiences like those. Hmm, I’ll have to look that one up! 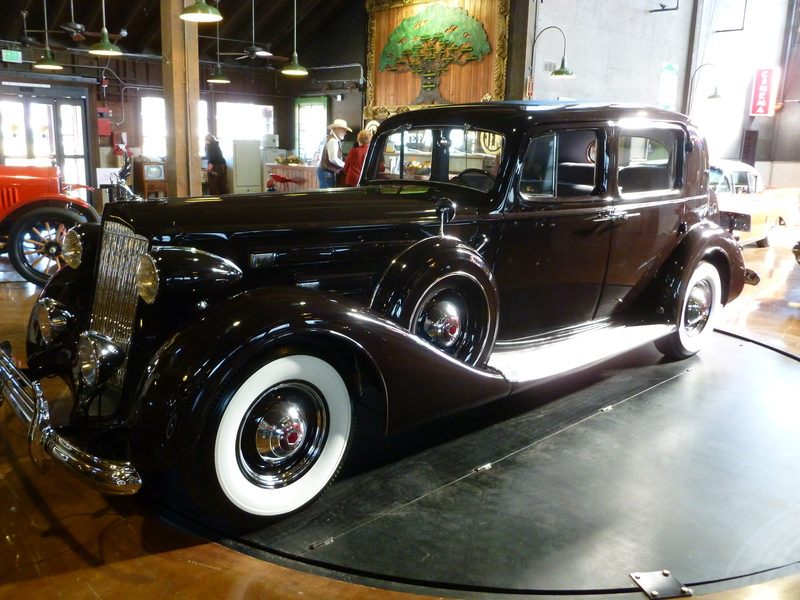 I love Historical Museums…………………..loved the photo of the car just awesome…………..I am a little jealous…………….